Travel these days is tough enough without feeling ill when flying. With in-flight food scarce, passengers have learned to bring their own snacks to stave off hunger during air travel. 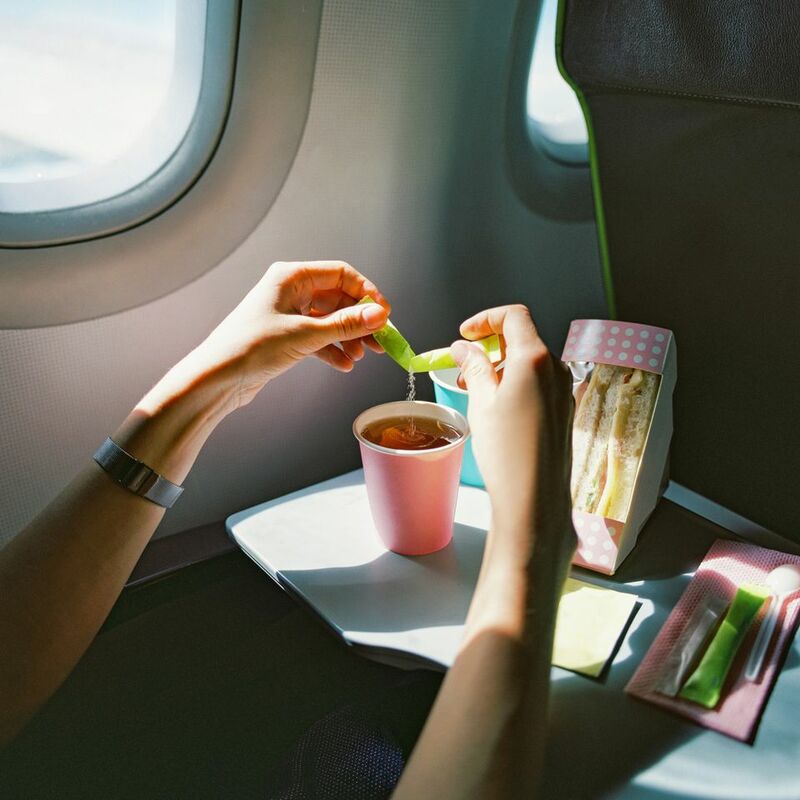 While you think some of your picks for onboard snacks and foods are healthy, you would be surprised to learn that you may have been bringing the wrong foods aboard your flight, according to a dietician. Kate Scarlata is a Boston-based licensed dietitian and nurse and a New York Times best-selling author with more than 25 years of experience. She understands the effects that certain foods travelers take for granted can actually have before and during a flight. So before you board that next flight, check out Scarlata's picks, below, for the worst foods you can eat on that plane and why they’re so bad for you. Most dried fruit – especially in large quantities – adds sorbitol and fiber to the intestine, said Scarlata. "That pulls water in and creates a gut full of intestinal gas," she said. Dried fruits also tend to be higher in sugar and calories, according to this post in Very Well. These snacks are rich in sugar alcohols like mannitol, sorbitol and xylitol, said Scarlata. "These alcohols may speed things through your digestive tract a little too quickly," causing bloating and diarrhea. You do not want to be on a flight -- especially a long one -- battling these symptoms. While this food is a staple in a healthy Mediterranean diet, you may want to think twice as a travel snack, despite its convenience. "It's common knowledge that legumes including chickpeas (used in hummus), dried beans, dried peas, soybeans, and lentils cause gas, something you may want to avoid in the mile high club," said Scarlata. This advice also applies to things including bean dips, edamame hummus, and black-eyed pea dips. Chicory root is a rapidly fermented fiber and may contribute to travel bloat, said Scarlata, so look on the ingredients label before buying and packing them. Granola bars with nuts and/or dried fruit can also be a problem inflight. Scarlata created a simple equation: onion plus garlic equals inflight gas. This food also tends to include beans, which is also a no-no inflight for the obvious reasons, and tortilla chips, which tend to be high in sodium and cause bloating. And spicy food can cause an upset stomach and an irritated bladder. What is the World's Worst Airplane Food? What Are Global Airlines' Policies on Flying While Pregnant?